Dr. Dalzell is a certified specialist in endodontics entering private practice after thirteen years of honorable service in the Army Dental Corps. Dr. Dalzell prioritizes having a comfortable environment for his patients. His goal is to provide high quality, painless root canals using state of the art technology. Dr. Dalzell was born in Okinawa, Japan and grew up in the U.S. and Germany. He is a graduate of the University of Oklahoma College of Dentistry and then went on to complete a 2-year Advanced Education in General Dentistry (AEGD-2) program at Schofield Barracks, Hawaii where he learned to focus on quality treatment for patients with complex needs. Dr. Dalzell was appointed Chief of General Dentistry while stationed in Germany and attained Board Certification with the American Board of General Dentistry. In 2008 he transitioned to assistant director of a 1-year AEGD program where he began pursuing his specialty training. 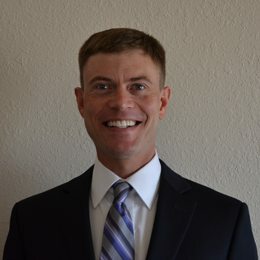 Dr. Dalzell earned his Certificate in Endodontics, Fort Gordon, Georgia in conjunction with the Medical College of Georgia, graduating in June 2012. He was assigned to Ft. Bliss, TX to serve as the Chief of Endodontics and was promoted to the rank of Lieutenant Colonel. After five moves with the military and thirteen years of service, Dr. Dalzell and his family are very excited to be in the Raleigh area. His vision is to provide patients with excellent and predictable endodontic care. This combined with friendly chair side manner, learned from watching his father, Dr. Dan Dalzell, practice pediatric dentistry while growing up, allows for a patient experience that is far beyond what is expected. Dr. Dalzell is a member of the American Association of Endodontists (AAE), American Dental Association (ADA), North Carolina Dental Society and the Raleigh/Wake County Dental Society. He is also an active member of the Tar Heel Endodontic Association and Southern Endodontic Study Group. Dr. Dalzell believes education is a satisfying and never ending process. Dr. Dalzell is a Fellow in the International College Of Dentists. This honorary organization is a testament to Dr. Dalzell’s service and dedication to his profession as recognized by his professional colleagues. 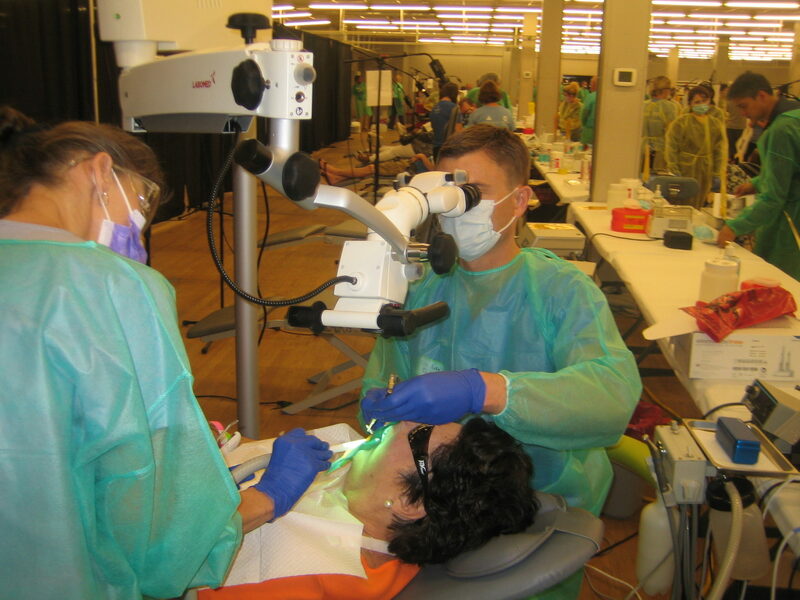 In their spare time, Dr. Dalzell and staff enjoy giving back to dentistry by volunteering at North Carolina Mission of Mercy (NCMOM) events and Wake Smiles Dental Clinic. Away from the office, he enjoys trail running and many family activities, especially traveling with his wife and daughter. Dr. Dalzell and staff treating patients at a N.C. Mission of Mercy event.